this post is a tiny bit funny considering the weather we've had the past 2 days. utah weather is always weird so i shouldn't be surprised that winter showed up again in june. i already had this post planned before the weather went crazy so let's all just pretend like it's actually still summer here ok?!? So, there you have it! My must have, beat the heat, essentials. I'm sure you all have your summer essentials too, right? Well, if you haven't stocked up yet, don't you stress! Why? 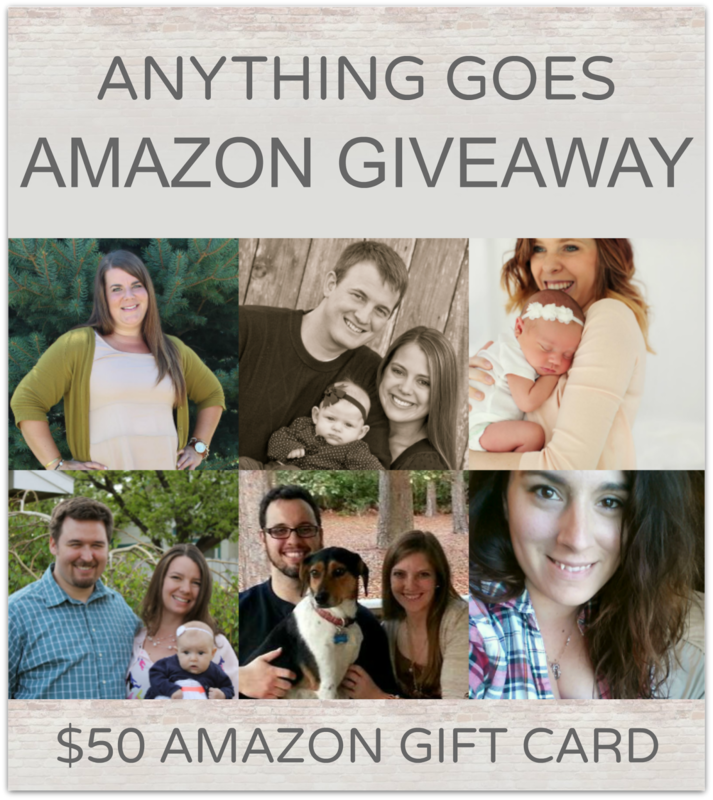 Because the ladies below and I have all teamed up to give one of YOU a $50 Amazon Electronic Gift Card, on us! Yep, that's right - $50 to spend on anything you want, even your summer must haves! enter with rafflecopter below. The giveaway will run from 12:00 am MST on June 17 until 11:59 pm MST on June 23. All entries will be verified so please be honest! Gift cards will be delivered electronically. probably something for the house! Umm I would die for this. I have an entire wishlist on Amazon. I love summer time polishes! I've been loving the cooler weather. Lol. So glad for the break from the heat but then again.... If I could be laying by a pool my opinion might change. That sounds so nice! Oh and so I can enter the giveaway I would spend the 50 on baby stuff. Pretty much anything baby right now. I would buy some more makeup brushes! You definitely have the cutest swim suits!! At least, the one I saw ;) I would spend $50 on. . . clothes? I don't know, I don't shop on amazon that much. Online shopping is hard for me. LAME right? ummm...books!! or a wine rack for the kitchen....and those are basically my summer essential minus the bathing suit...i have a Roxy suit that i love and have worn for like the past 8 years and makes me feel good in...i bought some at old navy and the 1st time i wore them in the pool the bottoms sagged i was so mad!! I would prob buy baby stuff. i would spend it on books for my classroom! I would get some stuff for organizing! I have been thinking about buying my son a pool for the backyard...we are moving into a new house next weekend and we will be leaving out big backyard pool, so I need to get a small one! I would like to get a Steamer off of amazon, need one badly! I'd put it towards my Amazon gift card balance. I'm currently trying to grow my balance towards a new laptop. Thanks!